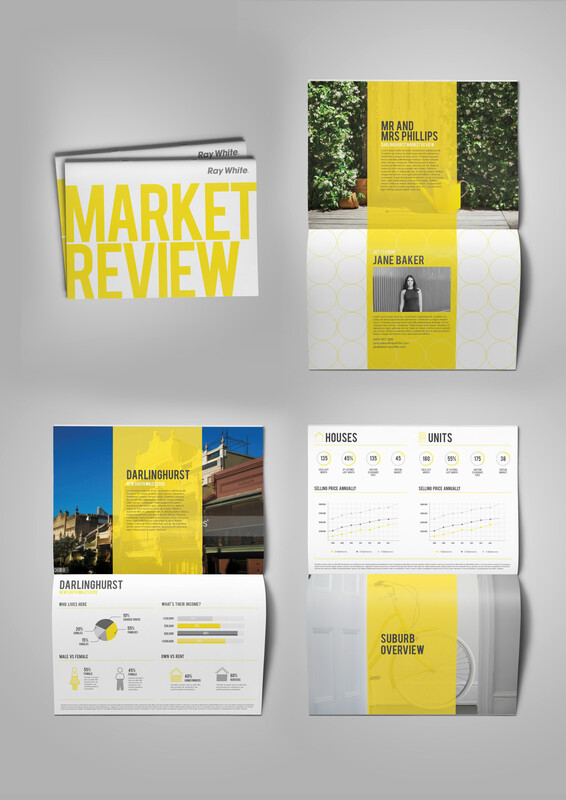 Every month 10,000 agents access the Ray White Intranet. They collaborate data to show prospective sellers what is going on in their areas. My task was to decipher not only what they wanted to include, but how to present this data is a way they it can be printed 67,000 times, every time with new data. 3 Rounds of wireframes were collaborated on with the companies Data Scientist to get this right before the design faze. These designs plugin to a system called Pentaho, that makes this happen.